Okay, there’s no money involved, but I did work hard today! Why would I do that on vacation? To help my friend Matt put together stuff for Timey Wimey tomorrow, of course! Now, that isn’t all I did today, so let’s rewind and recap briefly. The day unfortunately started with some bad news as my friend Jason realized he couldn’t find his passport. After thoroughly looking around our hotel room and having no luck, we hoped it may show up at one of the places we went last night (thankfully there were only three places to check), but that didn’t pan out either. Fortunately or unfortunately, this also happened to my friend Shaun last year, so we at least know the process to get a new one. Jason has already done everything possible, including filing a police report, so we’ll just stay positive that it will reappear or that he’s able to get a replacement one at the US Embassy in London on Monday so he can make his Tuesday morning flight. Send positive thoughts his way! 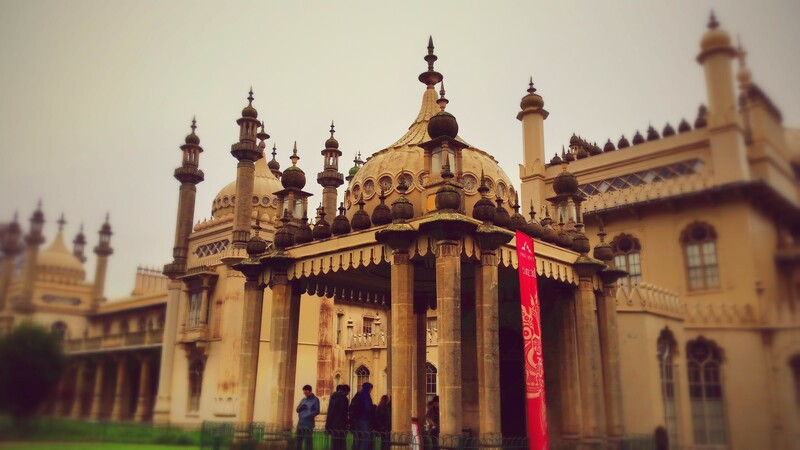 With Jason doing laundry (which was already the plan) and trying to figure out his passport stuff, Bill and I did a bit of wandering around Brighton. Since I haven’t been here for a couple of years and he has never been here, we both wanted to at least see some of the city (especially since we’ll be indoors having Who fun all day tomorrow). It was another grey day today, but it wasn’t actively raining while we were walking around and the temperature was pretty nice. With UK weather, you take what you can get, so the lack of rain was a win! We did a bit of walking around, walked down the pebble beach to the ocean, and then stopped at a little place near the beach for lunch. The food there was really tasty – Bill really liked his fish and chips and the burger I had was great (I especially loved how cheesy it was). Stop by Lucky Beach next time you’re in Brighton! After lunch, we spent the rest of the afternoon/evening with Matt and a couple of other friends getting things prepped for tomorrow’s event. 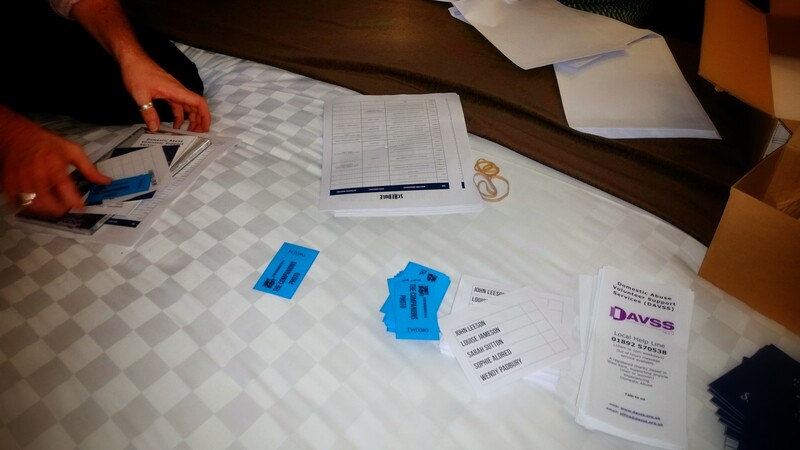 There’s so much love and effort going into making Timey Wimey a success – we were happy to help with it! We stayed around the hotel bar for awhile afterwards, just chatting and enjoying some drinks, and left a little before 1030p since we have to be back at 8a to finish getting things ready. It’s going to be great! Happily, I did get to snap a few more pictures today. Enjoy them! 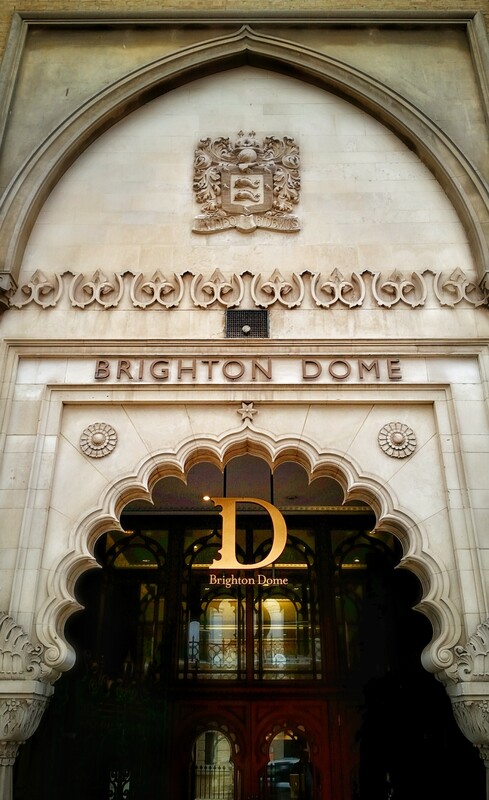 Entrance to the Brighton Dome, a multi-arts venue. 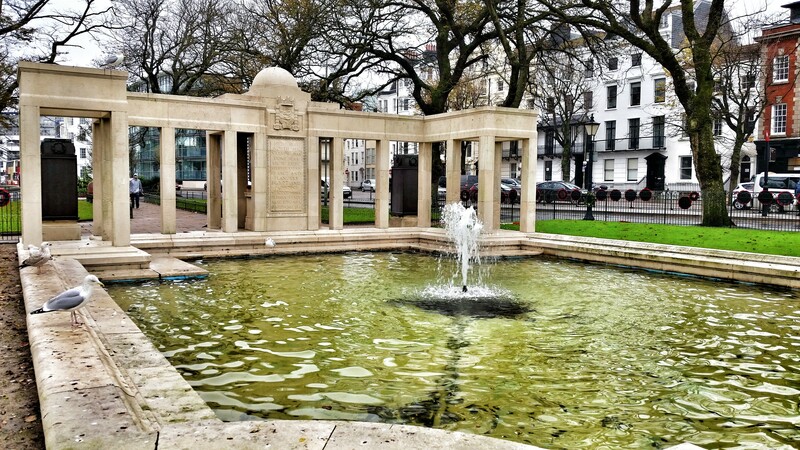 The Brighton War Memorial, which honors people who died in WWI. 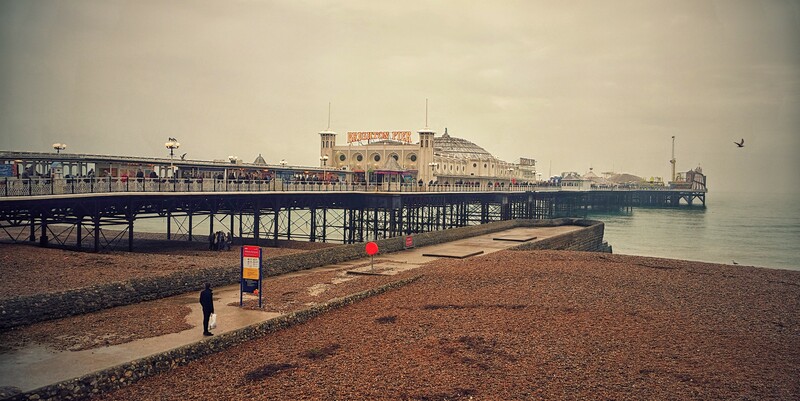 Brighton Pier – Brighton’s answer to the Santa Monica Pier. 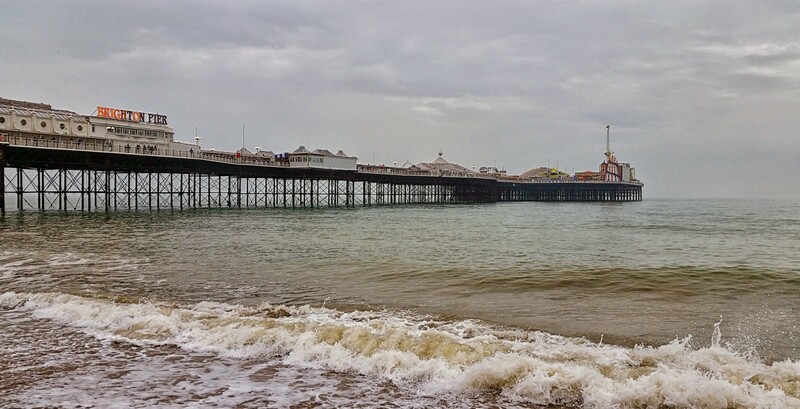 Another shot of the pier, but this time with added sea. 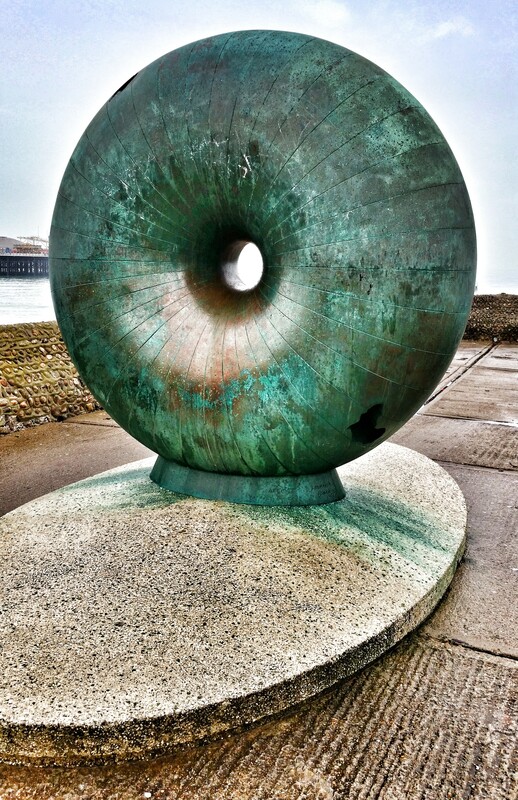 A doughnut-shaped piece of bronze artwork called Afloat. 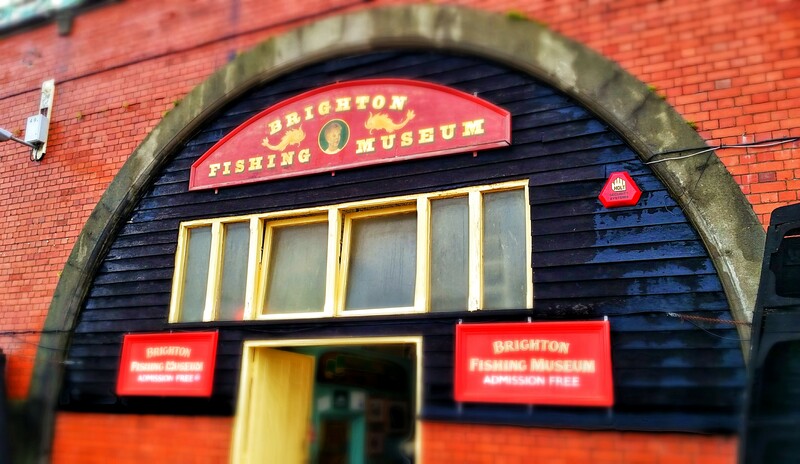 We didn’t go in the Brighton Fishing Museum, but I thought the exterior looked pretty neat! Basically, contact the nearest US Embassy or Consulate ASAP and vook yourself an appointment. You can’t just walk up to places like that, so the appointment is critical. Also, make sure you always have a picture of your passport accessible as that proves your identity and citizenship. You also need to get passport pictures taken somewhere before your appointment and bring them with you because the embassy or consulate can’t do that for you. It’s not a fun process, but they can make a passport for you same day! Have a picture of the original passport, or photocopy? No, the entire process sounds like a HUGE hassle; but at least it’s better than the alternative. Either one! As long as it fully shows your passport (thus proving your citizenship) and you can easily access it to show the embasy, that’s what counts.